Friday, January 4, 2013 ratings — New episodes: Undercover Boss, Last Man Standing, Malibu Country, Shark Tank, 20/20, CSI: NY, Blue Bloods and Dateline. Sports: The Cotton Bowl on FOX. Episode reruns: Go On, Nikita, and Arrow. 8pm – Last Man Standing: 1.4 in the demo (-7% change) with 6.62 million. 8:30pm – Malibu Country: 1.2 in the demo (-20% change) with 6.02 million. 9pm – Shark Tank: 1.8 in the demo (0% change) with 6.34 million. 10pm – 20/20: 1.4 in the demo (-13% change) with 4.84 million. 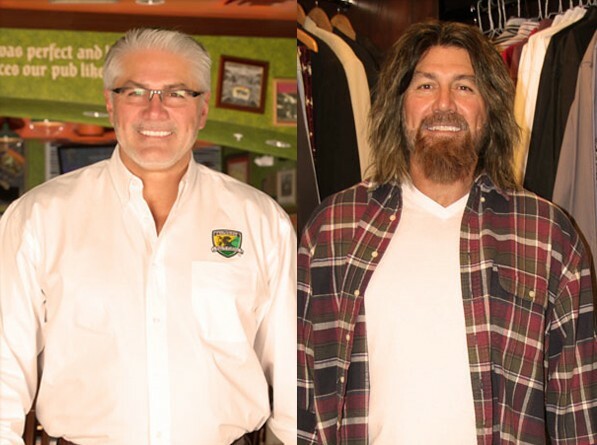 8pm – Undercover Boss: 1.5 in the demo (-6% change) with 7.51 million. 9pm – CSI: NY: 1.4 in the demo (-7% change) with 9.18 million. 10pm – Blue Bloods: 1.3 in the demo (-7% change) with 9.95 million. 8pm – Nikita: (rerun) 0.3 rating with 0.97 million. 9pm – Arrow: (rerun) 0.3 rating with 1.09 million. 8pm – The Cotton Bowl: 3.1 in the demo with 11.2 million. 8pm – Go On: (rerun) 0.6 in the demo with 2.72 million. 8:30pm – Go On: (rerun) 0.6 in the demo with 1.88 million. 9pm – Dateline: 1.5 in the demo (+88% change) with 5.68 million. What were you watching last night? An original episode, football, reruns, or something better? Wow, I’m sorry to see that Malibu Country’s mid-season premiere dropped quite a bit in the ratings. Hopefully it will improve in the next few weeks. Malibu Country is one of my favorite shows, and while I can’t watch it live I always catch it on my DVR. ‘Malibu Country’ is getting much better. The first few episodes reminded me of Reba’s last sitcome, but since then it has become far different and much more interesting. I hope it gets picked up for a second season. She is so awesome in everything she does! I watched Undercover Boss, Malibu Country, Last Man Standing, CSINY, Blue Bloods and Merlin. Watched CSI NY and Blue Bloods, they were new and as always great to watch.